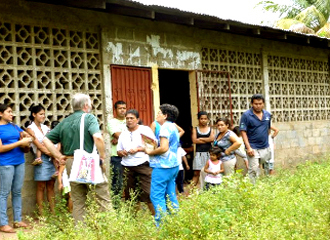 We support the daycare project “Los Pingüinos” in Leon-Nicaragua. The “Los Pingüinos” daycare center was founded in 1996 in León’s “Aracelys Pérez” district. But even 18 years after its foundation it is still short on almost everything. The buildings are in dire need of repair, there is no playground, no sanitation and there isn’t even electricity. Unfortunately that is quite usual in Nicaragua. Right now 40 children are enrolled in the daycare in one single group with mixed ages. The only child care worker is badly paid. She only gets an equivalent of 30,- Euros per month from the education office. The children are provided with one meal per day. The ingredients are provided by the government and the meals are prepared by the parents themselves. This is a measure to fight poverty by the Sandinista government of president Daniel Ortega. 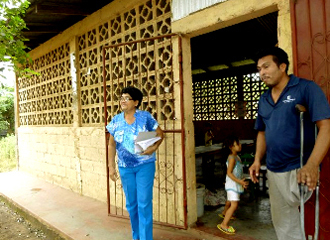 Almost 75% of all daycare centers in Nicaragua are in poor condition. The state is short on money to build new school buildings or renovate old ones. Only 1,5% of the education budget is assigned towards daycares. However, this only takes care of the administrative expenses, there is no money left for improvements of the infrastructure. 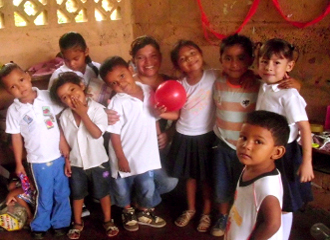 Only about 53% of children between the ages of three and five in Nicaragua attend a daycare. In Germany it is about 93% of three to six year-olds. 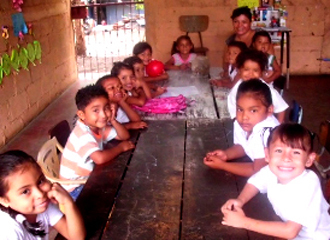 According to the Nicaraguan education law a maximum of 15-20 children are allowed to be enrolled in each group. Unfortunately 32-46 children are a more common sight in communal daycare centers. 73% of all daycares in Nicaragua are taken care of by parents, residents and international help with a small support from the education office. facilitating electrical power supply and much more…. If you also wish to support the “penguins” then you have the following possibility. You can transfer a donation to the account of the “Nicaragua Verein Hamburg e.V.”. Reason for transfer: Los Pingüinos (if you state your name and adress in the reason for transfer the association will issue a confirmation for the donation).